High intensity cardio workout. This class features drills to give players of all abilities an ultimate, high energy workout while hitting a lot of balls. Please register for each clinic online. Join us for our Singles Strategy Saturday Clinic. 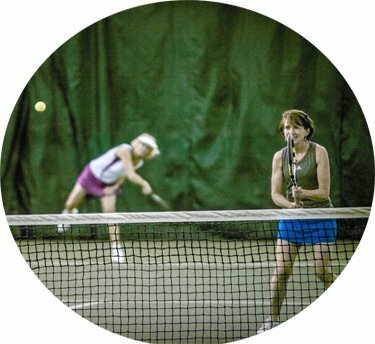 This clinic takes place from 8-9am and focuses on a variety of strategies designed to improve your singles game. 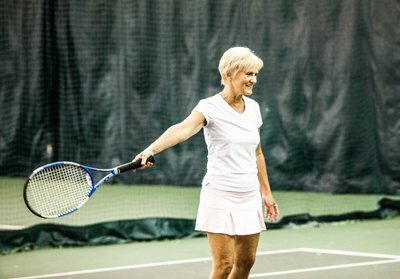 Adult Camp Strategy: Pros will help you with Singles and Doubles Strategy as well as shot selection for point construction during a match. Please register for each clinic in the folder at the front desk. 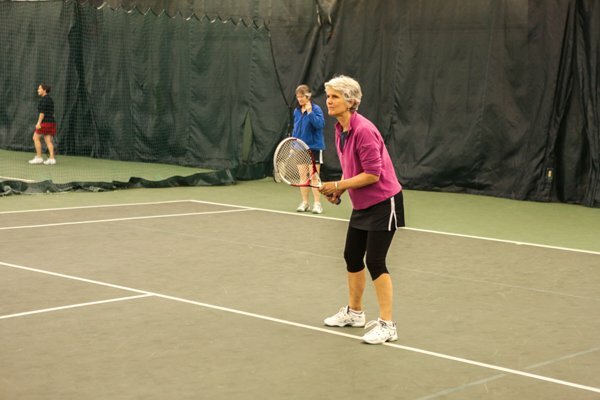 This clinic will emphasize basic fundamental strokes and strategies implemented into singles and doubles as well as ball judgement and court coverage. Come join this exciting and fast-paced game! It gives you an opportunity to work on many aspects of your game while having fun on the court in a team format! 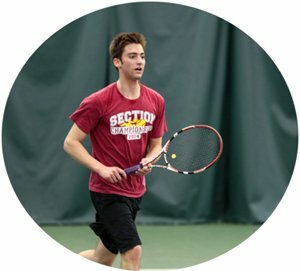 Come join our beginning men’s team for coached team practices! Cost of practice depends on your membership. Ladies 2.5 team: Come join our newest ladies team for coached team practices! Cost of practice depends on your membership.